Wind power is produced out-of-phase with demand in Ontario, so the Wynne government is forced to export the surplus. The government claims this brings in revenue but the truth is, it costs Ontario ratepayers. How much? And how does that cheap power benefit others? Parker Gallant comments on his Energy Perspectives blog. Michigan appears delighted to be able to purchase our cheap subsidized electricity. Now they are seeking further transmission links to Ontario with an eye on the grid out of Sault Ste Marie. Hydro One earlier this year announced they “entered into a purchase agreement to acquire Great Lakes Power Transmission LP from Brookfield Infrastructure for $222 million in cash plus the assumption of approximately $151 million in outstanding indebtedness.” One has to wonder, did Hydro One know about this, and see it as an opportunity to increase transmission revenue? This new transmission line could send both cheap hydro and expensive bio-mass generation to Michigan. Ontario Power Generation (OPG) operates 11 hydro stations with 680 MW of capacity and also two bio-mass facilities (Atikokan and Thunder Bay) converted from burning coal and now using wood pellets with a combined capacity of 358 MW in the region. The latter two facilities were focused on by the Auditor General (AG) in her November 2015 report. In the case of Thunder Bay, the report indicated the cost of generation was “$1,600/MWh—25 times higher than the average cost at other biomass facilities in Ontario.” For Atikokan the AG had this to say: “The plant is expected to generate 140,000 MWh for $74 million per year, putting the cost of electricity from this facility at $528/MWh—about eight times higher than the average cost of existing biomass from other facilities in Ontario.” Industrial wind turbines have also invaded the beautiful landscapes painted by the Group of Seven. For the sake of Ontario ratepayers, one hopes Michigan will not access electricity from either of the two biomass plants as it will fall on us ratepayers to pick up the costs in excess of the HOEP price. In the case of Thunder Bay the cost to ratepayers could approach $1.60/kWh and for Atikokan it would be 55 cents/kWh. Maybe the Ontario government staffers in communications should change their PR Slogan to “Building Michigan up”! Ontario electricity consumers are being zapped to the tune of tens of billions of dollars due to poor government planning, unnecessarily high green energy costs, and shoddy service from Hydro One, says auditor general Bonnie Lysyk. Lysyk concluded ratepayers forked over $37 billion more than necessary from 2006 to 2014 and will spend an additional $133 billion by 2032 due to the Liberals’ global adjustment electricity fees. In 14 value-for-money audits for her 773-page annual report delivered Wednesday at Queen’s Park, the auditor took aim at the electricity sector on the eve of Energy Minister Bob Chiarelli’s announcement on next steps for the province’s aging nuclear reactors. She also highlighted problems with everything from Ontario’s 47 children’s aid societies — including questionable executive expenses — community care access centres, and school buses to the bungled SAMS social assistance computer system and the lack of a plan for dealing with contaminated waste. But much of her scorn was reserved for the energy ministry, which is overseeing the sell-off of Hydro One, the provincial electricity transmitter. “Hydro One’s customers have a power system for which reliability appears to be worsening while costs are increasing,” said Lysyk, echoing Ed Clark, Premier Kathleen Wynne’s privatization czar, who has argued Hydro One can and should be a much more professionally run company. 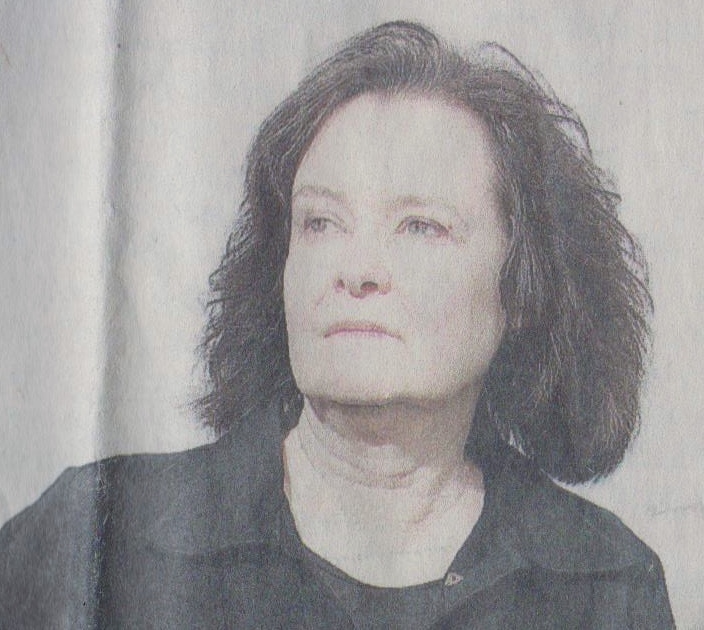 “Customers are experiencing more frequent power outages, mostly because assets aren’t being fully maintained, aging equipment isn’t being consistently replaced and trees near power lines aren’t being trimmed often enough to prevent outages,” she said, lamenting that this will be her final audit of the company since it will no longer fall under her purview once it is private. At the same time, Ontario’s controversial push to promote wind and solar energy is proving more costly than it needs to be, and energy conservation is proving unnecessarily expensive because the province has a surplus of electricity. Lysyk estimated consumers could end up paying $9.2 billion more for renewable energy over 20-year contracts issued under the Green Energy Act with guaranteed prices set at double the U.S. market price for wind and at 3.5 times the going rate for solar last year. “With wind and solar prices around the world beginning to decline around 2008, a competitive process would have meant much lower costs,” Lysyk wrote, noting the government ignored advice from the now-defunct Ontario Power Authority to seek bids for large renewable energy projects. The auditor shines a light on energy conservation efforts slated to cost $4.9 billion from 2006 to 2020, saying the investment does “not necessarily” lead to savings because excess electricity must be exported at a loss. 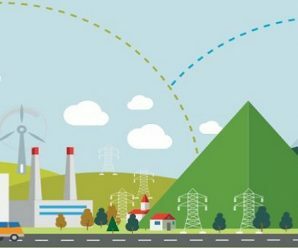 As if the process for wind power siting and approval wasn’t slanted enough in the favour of the corporate wind power developers, now the Independent Electricity Systems Operator (IESO) has announced that because so many bids were received for contracts, it needs more time to determine the successful bidders. That means, Ontario communities will not know until March 2016, whether they have been selected to be transformed into an industrial power location. See the IESO announcement here. Apparently, everyone is tickety-boo with Wolfe Island being turned into a factory–or are they? 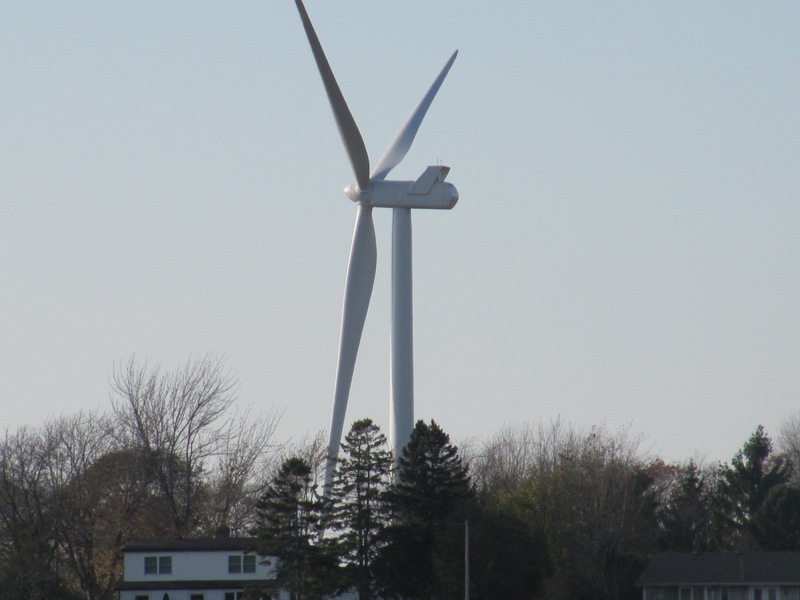 There are only two wind turbine projects in Eastern Ontario–one in Wolfe Island and one near Brinston, south of Ottawa. But Wolfe Island, surrounded by the St. Lawrence River at one end and Lake Ontario at the other, is a captive crowd. We easily surveyed 200 of the 1,400 residents lining up for the Kingston ferry or working in the hamlet of Marysville. With such a high proportion of residents surveyed–one in seven–we captured a fairly good picture of how people feel about those gigantic white gosal posts with their three imposing blades. Of course, having a visual of a turbine makes a huge difference. On many properties on the 29-kilometer long island, you can’t even see the turbines. * From other vantage points, you can see more than 10. We found that money makes a difference. Those landowners (many of them farmers) hosting one or more turbines, are delighted with the $10,000 to $14,000 they earn each year per turbine just to look at them. The wind turbine company hands over another $100,000 to the island annually. Improvements to the local outdoor rink are one of the many benefits. It’s like getting paid twice for having the good luck of living at the right place on the right island at the right time. Not surprisingly, wind power companies in other areas of the province are now offering “hush” money to Ontarians living near a proposed wind turbine project. As I’ve said before, if a company wants to pay me $14,000 a year to put a wind turbine on my property, I’d move the garage in order to accommodate them. 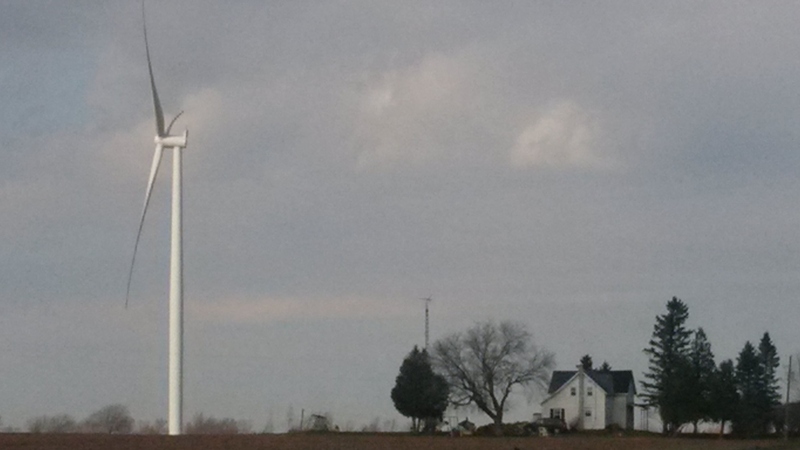 Change their mind and offer the turbine to my neighbour and suddenly that turbine doesn’t look so good. It’s kind of an eyesore and doesn’t it affect bird migration? Could this be the health issues that we hear about or am I just sick at the thought that I just lost $280,000 of free money over 20 years? I think I know the answer. But when you offer to cut me in on the monetary benefits of my neighbour’s turbine, I’m suddenly all sunshine and happy thoughts. This is not to say there aren’t honest-to-goodness health risks. Farmers Forum has no reason to disbelieve those survey respondents who complain of low-level noise when the wind changes direction. This brings me to my only real beef against wind power. As happy as I thought I would be to have a turbine, I don’t want one. They are the biggest money losers in the history of the province. Not for Wolfe Islanders or anyone else who gets a wind turbine contract. But for everyone else forced to pay an electricity bill. Electricity costs have already risen 12.5 per cent each year for the past five years. There are more than 1,000 operating wind turbines and another more than 4,000 to go up in the province. Ontario’s auditor general says we can expect another 40 per cent price hike over the next few years in our electricity bills. By 2018, every Ontario family will be paying an extra $636 per year to go green. And why? So the province can claim to be the first green province or state in North America? Big deal. Wind turbines are incredibly inefficient. In a major report last year, the Fraser Institute noted that 80 per cent of the power generated by wind turbines occur when Ontario doesn’t need the power. So, while the province pays 13.5 cents per kilowatt hour, it often resells is for 2.5 cents south of the border. The report, Environmental and Economic Consequences of Ontario’s Green Energy Act, observed that data from the Independent Electricity System Operator show Ontario loses, on average, $24,000 per operating hour on wind power sales. Numerous companies, including Kelloggs and Heinz, have closed plants because Ontario companies pay more for power than any other jurisdiction in North America. So, you can’t even call wind turbines green energy. It’s appalling that farmers have been lied to about the benefits. We’re wasting billions on a phoney cause. WCO editor’s note: Although Farmers Forum was clear on the limitations of their survey they missed several key points: one, by surveying only people at the ferry dock and in a coffee shop, they may have missed people who stay on the island all day, but more important, as the Island has turbines on one half and none on the other, it would have been absolutely critical to define where the survey respondents actually live. They didn’t. Another key factor in any survey of community residents living with turbines is the fact that many turbine contracts force landowners to sign a non-disclosure agreement—in other words, if they have anything negative to say about the turbines, they can’t talk. For some reason, there is a sudden buzz about offshore wind power in Ontario. Last week, the province put out two Requests for Proposal pertaining to offshore wind power generation. One of them was for a “noise impact” study, which is flawed from the very request because it asks for a proponent to do a literature review only, on audible noise only, and not to do any actual noise measurements, despite the fact that the Wolfe Island wind “farm” could provide very interesting data. As well, none of the studies already done on offshore wind “farms” are likely to deal with freshwater, and the attendant problems such as ice. This week, the Canadian Physicians for the Environment or CAPE, put out an op-ed to Ontario newspapers, saying they want Canada to not lose opportunities for jobs in clean energy technology, and that “far” offshore wind power development should be explored. Wind Concerns Ontario was quick to point out two things: first, the push for “far” offshore wind power development is an admission that there are serious problems with onshore wind power development, and second, there still have been no studies done on a cost-benefit analysis, an options analysis, or a true, comprehensive impact analysis for wind power development. Here is the story from today’s London Free Press on the “far” offshore idea.